Why take this Continuing Education Course? Lumbopelvic and hip movement dysfunction represent a large component of physical therapy practice. Yet many of us struggle with explaining how some patients improve and others do not. Developing a perspective regarding the nature of movement dysfunction is the key to improving outcomes. Movement dysfunction should be conceptualized as dysfunction within or between the body’s biomechanical and neuromechanical systems. Biomechanical dysfunction refers to abnormalities of the musculoskeletal system including the osteokinetics and arthrokinematics associated with creating movement. Neuromechanical dysfunction refers to abnormalities associated with the anatomy and physiology of the central, peripheral, and autonomic nervous systems influencing movement. The effective intervention for lumbopelvic spine and lower quarter movement dysfunction must integrate all anatomic/physiologic components of the lumbopelvic spine and lower quarter and be multi-system in scope. In other words, the intervention must integrate a biomechanical and neuromechanical perspective. This two-day, advanced level course provides a unified biomechanic and neuromechanic model with strategies for the examination, evaluation, and intervention of the lumbopelvic spine and hip. The information presented in this course enables the clinician to utilize a new representation of the underlying mechanisms that contribute to lower quarter movement dysfunction. Much lumbopelvic dysfunction is unrecognized secondary to the traditional biomechanical examination and evaluation paradigms. Content for this course includes significant discussion of the scientific basis and rationale for an integrated biomechanical and neuromechanical orientation for rehabilitation.The course incorporates lecture with substantial laboratory experiences. Laboratory sessions enable the participants to integrate both biomechanical and neuromechanical examination and intervention techniques and strategies for neuromechanical system components associated with movement dysfunction. These include for the nervous system, neurodynamics and the sympathetic component of the autonomic nervous system; the role of muscle facilitation and inhibition associated with the lumbosacral spine and hip; the vestibular system and motor learning. The use of a muscle energy technique is developed and implemented from a biomechanical and neuromechanical outlook. The strategies developed for examination and intervention provided in this course work well with traditional approaches used for intervention of movement dysfunctions. Course information is immediately relevant and applicable in the clinical setting. Additionally, the concepts and principles learned in this workshop transfer to all movement dysfunction. Understand and describe the foundation for neuromechanical examination, evaluation and intervention techniques for the lumbopelvic region. Describe the components of, and complete, a neuromechanical screen of the lower quadrant. 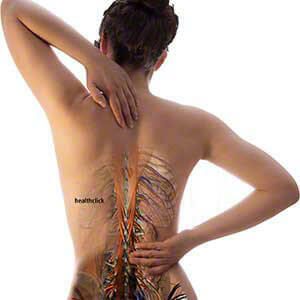 Recognize the role of the sympathetic nervous system in chronic pain and movement dysfunction. Describe the mechanical and physiologic functional implications associated with movement of the nervous system and implement an examination to differentiate compression, sliding or tension dysfunctions. Integrate concepts and principles of motor control with the fundamentals of neuromechanical dysfunction. Explain inhibition and facilitation of lumbopelvic and lower quarter muscle dysfunction in the context of Janda’s “lower-crossed” model. Describe the sequence of normal reflex development and assess the presence or absence of reflexes in the context of lumbopelvic and lower quarter movement dysfunction. Describe the basic concepts and principles associated with the use of PNF. Explain the relationship between the vestibular system and lumbopelvic spine movement dysfunction. Explain the neuromechanical rationale for using a MET and integrate the MET with PNF to facilitate motor learning and control. Utilize a neuromechanically organized mobilization to facilitate lumbopelvic segmental and extrasegmental motion. Develop a comprehensive treatment approach to improve functional outcomes for lumbopelvic dysfunction. I provide a very systematic approach combining the biomechanical and neuromechanical systems for improved movement outcomes. All courses are pre-approved by the state licensing boards for physical therapists, physical therapy assistants, occupational therapists, occupational therapy assistants and athletic trainers for license renewal in the state the course is offered. North American Seminars, Inc. is an AOTA provider for continuing education. Provider number 4487. Please download the specific course brochure for the AOTA classification and allotted AOTA hours. The AOTA does not endorse specific course content, products or clinical procedures. Courses provided by AOTA providers are accepted by NBCOT. 1 hour = 1.25 PDU. North American Seminars, Inc. (BOC provider P2047) is approved by the Board of Certification, Inc. to provide continuing education to Athletic Trainers. This program is eligible for the maximum stated hours of Category A hours/CEUs. Call for evidence-based status. Athletic Trainers should claim only those hours actually spent in the education program. Please submit a help ticket if you require any special needs in regards to registering or attending a course.